It might be a shocking revelation for you, but Halloween is one of the most commercially successful holidays after Christmas. So, it is but natural that you will be contemplating about purchasing Halloween costumes for you or your kid. But do not forget about your pet because he/she is part of the family, remember? Once you select safe and comfortable costumes for your pet it will be an amazingly easy way for him/her to join the fun. But before getting these pet costumes, ensure that your pet is comfortable wearing them. Never force it. An image makeover is the best gift that you can ever give to your kitty. What better than to make her transform into the famous character Puss from Puss in Boots” and “Shrek” from To Scarborough Fair’s whimsy cat hat. This tailor-made hat has been created using wool felt and contains a feather that is connected for a fanciful appearance. Dress your furry pal in a monster avatar and scare the living hell out of those trick-or-treaters on Halloween!!! This costume consists of projecting, circular eyes, extended, white fangs and a Mohawk of fur, which makes the doggy look live a real monster. It will make him/her look scarily cute. Create a magical spell on your kitty this Halloween with iheartneedlework’s Wizard Cat Hat. The hat comes in royal blue color scattered with bright, yellow stars which gives it a magical feel. It is a real deal to cast a spell of prettiness on all your Halloween party guests or Halloween trick-or-treaters with this hat topped on your kitty. A pumpkin costume is a deal breaker for dogs. It is made up of orange cord and cut with green. The costume’s sweater looks simple. It has a pumpkin-themed pullover that has been unwoven to comfortably suit the doggy. Get Paw Apparel’s pumpkin hat and sweater dog costume made-to-order to fit your pooch perfectly. While celebrating with your furry pal just remember that keeping a stock of the most important pet supplies is of paramount importance due to the extended weekend break. You also need to keep a check on your pet expenses. Keeping this perspective in mind, BestVetCare is offering 12% discount on site wide pet care supplies. The online shopping destination is renowned for offering cost-effective branded pet products for selected assortment. You can get pet products for dogs, cats and birds. The various pet categories that the company deals in include: flea & tick, wormers, joint care, heartwormers, and wound care. So, this Halloween you have the opportunity to get additional discount on top of the already cost-effective prices at the online store. Don’t procrastinate, start shopping today and reap the benefits of a healthy pet. 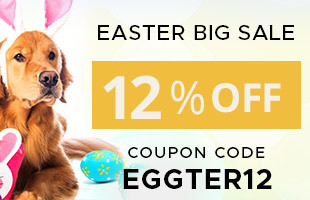 But don’t forget to use the Coupon Code : BESTHAL12 while purchasing the pet products for availing the discounts. Happy Halloween!!! In our country itself, approximately 30% of people are suffering from allergic reactions from cats and dogs. It has also been observed that cat allergies are approximately twice as common as dog allergies. Allergy sufferers are averse to the proteins present in pet saliva, urine and danger that disperse when the pets shed. It has also been found that pet hair can trap pollen, mold and other outdoor allergens resulting in more trouble. It has been observed that human dander can lead to allergic rashes or respiratory reactions in pets. It is the same as the reaction is triggered in people suffering from allergens. Pet allergens cling to walls, furniture and clothing and can hang in the air for months even after a pet is gone. A truly non-allergenic dog breed or cat breed does not exist. Allergic dander in these pets is not due to the length or texture of the fur. You need to be aware that cat allergens are stickier than other types of allergen. It has been observed that male cats produce more protein humans react to than female cats. It has been observed that children raised in a house with two or more pets during their early formative years are less likely to develop allergic diseases than children raised in critter-free dwellings. These tents are the best place to be when you want to get in touch with the natural wilderness. It will bring out an utter desire to explore so don’t resist the feeling!!! It also has an added luxury of a soft queen bed and private deck. Relax under the stars during the night with a bonfire with your pet at your feet while listening to the waves crash on the Californian coast by San Francisco. This luxurious cabin near Albany is the best possible getaway with your furry pal away from the hustle and bustle of the cities across the state. Unwind and enjoy the beauty of one of the best parts of the country from a place of beauty and comfort. This eco-friendly and dog-friendly cabin is the best place to enjoy the luxury and beauty. It is a natural spot for enjoying a quiet and peaceful time with your furry pal. But while you are planning to go for either for these wonderful getaways do not forget to carry the necessary treatments for your furry pal like flea & tick, wormers, heartwormers, wound care, eye and ear care, teeth and joint care. If you are worried about the budget, we have a solution for that. BestVetCare understands the predicament of pet owners and is offering 12% discount on site wide pet care supplies. This is your chance to get branded pet products that you might have missed out due to increased prices. So grab this opportunity. In addition to this, the company has zero shipping charges policy irrespective of the quantity of the order. So, you have nothing to lose. Just act now and do not forget to use the Coupon Code : BESTCOL12 while making the purchases. Did you know that there are approximately 60 million farm animals in the world that are not treated humanely? 80% of the world’s 1 billion dogs and cats are stray or neglected. Hence, in order to ensure that humane treatment is levied on farm animals and to advocate the protection of the environment that is home to wild animals, World Animal Day is celebrated. This global event was initiated in the year 1931 by ecologists in Florence, who wished to bring attention to the plight of endangered animals. October 4 every year was chosen as the date due to the fact that it is the Feast Day of St. Francis, the patron saint of animals. Nowadays, this day has become recognized globally on a worldwide scale. In order to ensure that you are doing your bit to help animals and are making a small difference in their lives become a vegetarian as it is the first step to save animals. It will assist the ecology of the planet and improve your health. Another thing that can have a major impact is when you stop buying things made from animals like leather and fur. You can get many other alternatives from plants and synthetic. Never buy household and personal products tested on animals. If possible, get involved in or give a helping hand to local animal rights and animal welfare organizations. Remember, even a small thing can make a big difference in the lives of these animals that are speechless!!! Do your bit and that would give a strong message across that you support the well-being of animals. One of the best ways to celebrate World Animal Day is by keeping your pet healthy and fit. You can do this by giving timely treatments that are quite essential for their overall well-being. Some of these include: flea & tick, wormers, joint care, wound care and heartwormers for dogs, cats and birds. Procure these treatments from a reputed pet care supply store like Best Vet Care at a never-seen-before discount price. The online store understands that making a difference in the lives of your pet is the first step to celebrate this auspicious occasion and so it is offering 10% discount on all its pet products. To avail the discount, don’t forget to use the Coupon Code : BESTAUT. Hurry today and buy branded pet care supplies at unbelievable discounted prices with zero shipping charges!!! Can you afford to miss out on this offer?